to live every day of my life to honor your sacrifice; to make you proud to know that your gift is not being wasted. I will do so for every day of my life. The President of the United States of America, in the name of Congress, takes pride in presenting the Medal of Honor (Posthumously) to Sergeant John Noble Holcomb (ASN: 18801905), United States Army, for conspicuous gallantry and intrepidity at the risk of his life above and beyond the call of duty while serving with Company D, 2d Battalion, 7th Cavalry Regiment, 1st Cavalry Division, in action against enemy aggressor forces at Quan Loi, Republic of Vietnam, on 3 December 1968. 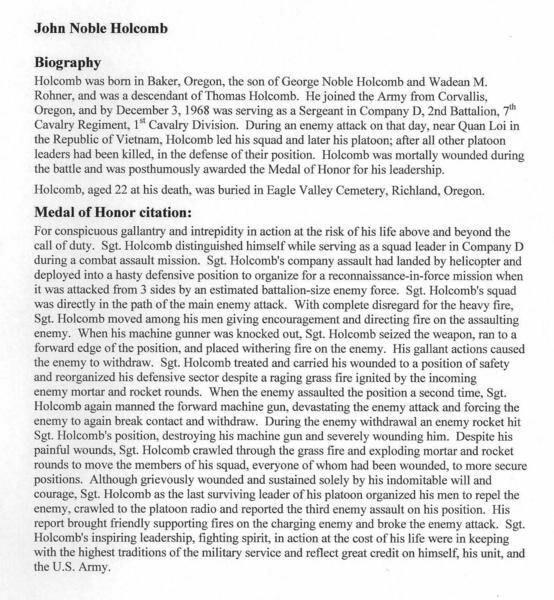 Sergeant Holcomb distinguished himself while serving as a squad leader in Company D during a combat assault mission. 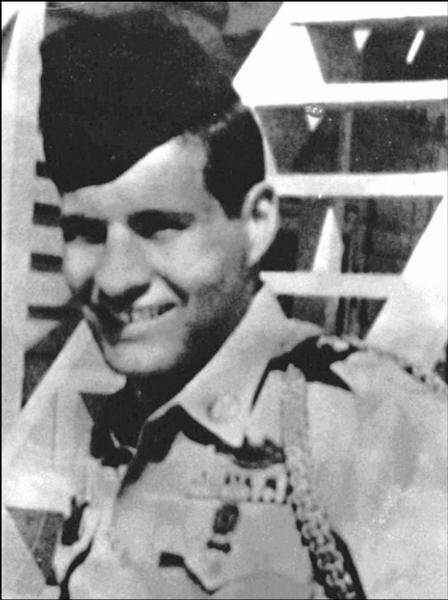 Sergeant Holcomb's company assault had landed by helicopter and deployed into a hasty defensive position to organize for a reconnaissance-in-force mission when it was attacked from three sides by an estimated battalion-size enemy force. Sergeant Holcomb's squad was directly in the path of the main enemy attack. With complete disregard for the heavy fire, Sergeant Holcomb moved among his men giving encouragement and directing fire on the assaulting enemy. When his machine gunner was knocked out, Sergeant Holcomb seized the weapon, ran to a forward edge of the position, and placed withering fire on the enemy. His gallant actions caused the enemy to withdraw. 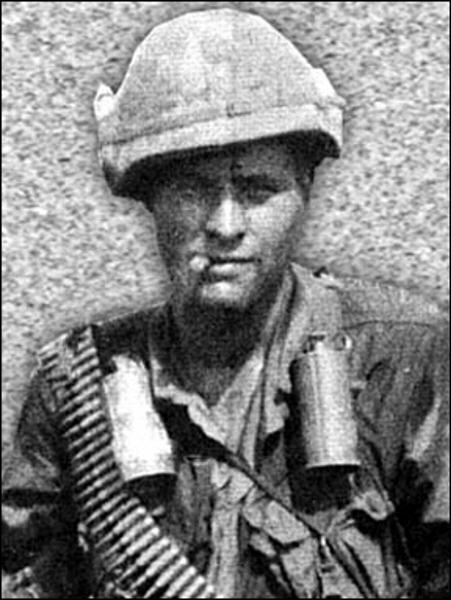 Sergeant Holcomb treated and carried his wounded to a position of safety and reorganized his defensive sector despite a raging grass fire ignited by the incoming enemy mortar and rocket rounds. When the enemy assaulted the position a second time, Sergeant Holcomb again manned the forward machinegun, devastating the enemy attack and forcing the enemy to again break contact and withdraw. During the enemy withdrawal an enemy rocket hit Sergeant Holcomb's position, destroying his machinegun and severely wounding him. Despite his painful wounds, Sergeant Holcomb crawled through the grass fire and exploding mortar and rocket rounds to move the members of his squad, everyone of whom had been wounded, to more secure positions. Although grievously wounded and sustained solely by his indomitable will and courage, Sergeant Holcomb as the last surviving leader of his platoon organized his men to repel the enemy, crawled to the platoon radio and reported the third enemy assault on his position. His report brought friendly supporting fires on the charging enemy and broke the enemy attack. 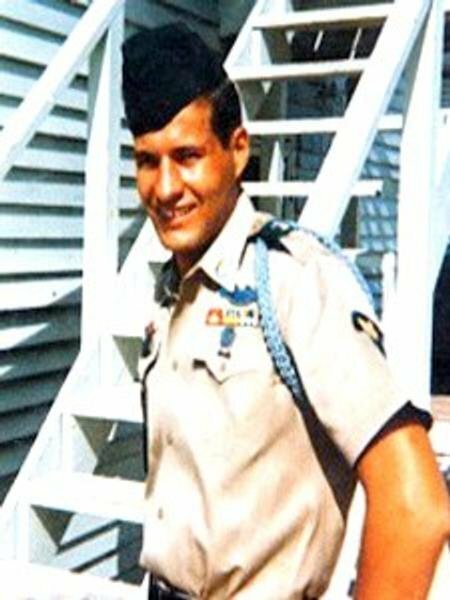 Sergeant Holcomb's inspiring leadership, fighting spirit, in action at the cost of his life were in keeping with the highest traditions of the military service and reflect great credit on himself, his unit, and the United States Army. You were one of the brave that answered the call. You honored us by your service and sacrifice. We now honor you each time we stand and sing the words “THE LAND OF THE FREE AND THE HOME OF THE BRAVE”. Rest in Peace and Honor John.